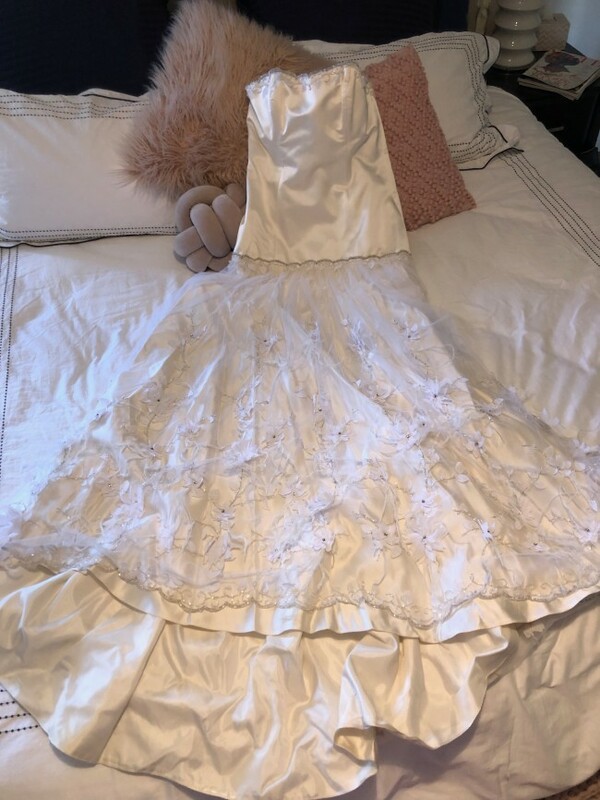 White wedding dress size 10, silk bodice with silk and french lace overlay skirt. the lace has light feathers and glass beads in the design and gives the dress a lovely movement when it is worn. The design is a figure hugging, strapless, dropped waste bodice with boning and small buttons on the back, down to just below the bottom to show of the curves. The imported french lace has a flower design in it with silver threading as the vines and 3d flower petals with feathers. Worn once, good condition, Dry cleaned and packaged for safe storing.